JasonLives66 posted a topic in Introduce Yourself! Hello, I'm a playstation 4 player of Friday the 13th. Brand new to the Friday the 13th Forum. My Favorite Jason's to play as are Part 6 and Part 8. Least favorite is Part 9. I usually will play as Buggzy, Adam or Mitch. I also have a Youtube channel with Friday the 13th Videos and WWE 2K18. If you interested check it out. See video below. Thanks. youtube Friday the 13th game videos! Psycho_retros_2 posted a topic in Introduce Yourself! What's going on, slashers? I am Psycho_retros_2. I stream F13, WWE, and other great games from my Xbox One and PS4. Go find me on Twitch, YouTube, and Mixer! DRUCIFER posted a topic in Introduce Yourself! Has anyone come across the dancing car glitch? SickVeins posted a topic in Introduce Yourself! Hey all! My name's Luke, or SickVeins on YouTube. I joined this community hoping to find some more PS4 gamers to collaborate with on Friday The 13th. I have 5K subs and livestream the game roughly 4-5 days a week. For anybody interested, my PS4 tag is Laidbackluke2011. See you there! Hey! I'm kinda starting out on YouTube and I did a gameplay of Friday the 13th. Check it out if you have the time: Thank you! Short Movie - Friday in the Real Life ! Hi guys ! I hope I'm in the right section and that I'm allowed to do it but I would like to share a short movie we made with friends about Friday the 13th : The Game in order to tease the October, Friday the 13th livestream. I would like to know what you guys think about it ♥. Enjoy ! (Don't worry, even if we're French, as they're no dialogues, it's not problem for anyone watching it). Thanks for watchiiiing ♥. Nickypoolicious posted a topic in Introduce Yourself! Mr.Unknownyt posted a topic in Introduce Yourself! Hey everyone, i am a x box user and i am loving this game. i am a small time youtube who would love to do some collabs with you fellow players.i cant wait to get more videos up. Please check out my youtube channel to see if you want to join me . Thanks for reading and tell me what your best memory of friday is already. i know i have lots. LaserBolt posted a topic in Introduce Yourself! Hey, guys just joined, and can't wait to meet some cool and amazing people on here. I mostly play on the XB1 and always looking for some people to play with. I mostly do F13 content on my YT channel and also stream. playstation 4 I Need mo'PS4 Fraaands! Sup Campers!!! Im basically looking for more friends in the forums community here who want to friend an lobby up from time to time. Im a pretty decent Jason. I can grab on the fly! I'm an amazing counsellor that's usually pretty tricky and hard to catch unless your good like this guy I will add you, you add me and everyone is happy happy happy! Trying to get involved in the community! PrettyManYT posted a topic in Introduce Yourself! 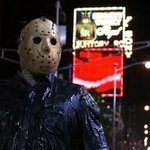 Share F13 Videos/Streaming Accounts For Content Creator's! ThaaZeuS posted a topic in Introduce Yourself! Hello everyone I come here you present my first video dedicated to Friday the 13th, I hope you like it is a first draft and I plan to try to cover all future content on Friday. One link => https://youtu.be/qpzA-Z-DtEo All videos will be translated into English as a subtitle two hours after publication. domo791 posted a topic in Introduce Yourself! My name is Domo, I run a rust server [US WEST] RUSTY EMPIRE, Create youtube videos (very small channel) https://www.youtube.com/channel/UCznUAL5kX1uxNC9YrgsvQHw, and I play a lot of video games. I will be posting my Ideas for the game and hopefully be a welcome part of the F13 group. A Youtube channel has recently come to my attention. It's a breakdown of horror kills. The guy is starting off with the F13 series, doing a movie a week. I have watched them all and find them amusing. Give it a view if you'd like.